G&R Law is located in Coral Gables, Florida, our attorneys represent individuals and businesses both internationally and in the Miami-Dade metro area and throughout South Florida with a wide range of complex legal issues. Since the inception of the firm in 2004, our mission has been to provide our clients with personal attention, responsiveness and quality legal advice and professionalism. We serve clients throughout the world, including Venezuela, Argentina, Brazil, Colombia and other countries in Latin America. We are fluent in Spanish and Portuguese. 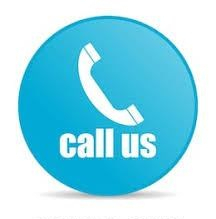 Contact our firm online or call toll free at 305-461-4880 to schedule an initial consultation. Litigation, including breach of contract, contract disputes, professional malpractice, insurance coverage disputes, Florida Unfair Trade and Deceptive Practices Act litigation, construction disputes, construction defect litigation, partnership and shareholder disputes, and landlord-tenant disputes. Personal Injury, We help people and families with injuries related to personal injury, car accidents, slip and falls, medical malpractice, cruise ship or watercraft accidents, botched plastic surgery, wrongful death, defective and dangerous products, and defective medical products. Real Estate law, including financing, easement and boundary ordinance issues, zoning disputes, real estate disputes, and contract drafting, reviewing and negotiation. Family law, including divorce, child custody and visitation, child support, alimony, property division, paternity, parental rights, prenuptial and postnuptial agreements, adoptions, modifications, domestic violence and cohabitation agreements. Immigration, including visas (L-1, EB-5, H-1B and O-1), deportation defense, residency applications, citizenship and waivers. Medical Marijuana, Our firm is dedicated to helping entrepreneurs prepare and navigate the complex laws being introduced to regulate this new industry. To discuss your case with one of our experienced lawyers, call us toll at 305-461-4880 or contact us online. We welcome all major credit cards.